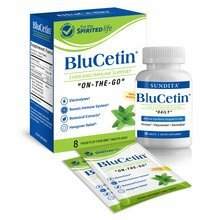 Bilberry Lutein with Zeaxanthin has been added successfully to your wishlist. Stop struggling to see all that life has to offer! Biolut™ is the highest purity form of lutein on the market. Reports of deadly accuracy by British bomber pilots. Biolut™ is a trademark of Alcosa S.A. de C.V.
Lutein and Zeaxanthin Pigments (carotenoids) that form the human macula at the center of the eye and are essential for good vision. As we age, we are at a higher risk for irreparable loss of vision from Age-Related Macular Degeneration (AMD) caused by the degradation of the macula. Biolut™ is the highest purity form of lutein in the market. Derived from the marigold flower (Tageteserecta); it contains Zeaxanthin to provide natural protection to the macula. Bilberry Extract (Vacciniummyrtillis) contains high levels of antioxidants in the form of anthocyanins (anthocyanosides), a bioflavonoid, known to support eye health and improve overall vision, specifically night vision. 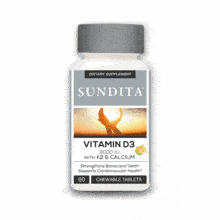 SunDita’s Healthy Vision Formula can help prevent the onset of macular degeneration and cataracts. Suggested Use: Adults—Take 1-2 capsule(s) in the morning. I was diagnosed with Age Related Macular Degeneration and been through many different lasiks procedure. I've been taken this product Bilberry with Lutein for over 2 months now and can tell the big difference because my eyes are feeling more awake and my vision is much clearer than before. I recommend this product to everyone!